Here’s something a lot of you might or might not know about me --- I’m obsessed with anything Korean. I’ve been a big fan since 2014 of Korean Idols, Korean Variety/Game Shows, Korean Movies to Korean TV Drama. And so I decided to blog my own Korean Lists. This way I get to share my recommendations, views and opinions to you and in return, I have an open library for myself as well. This list will be updated from time to time. You can click Korea 101 to view more posts I did about the Korean culture. When it comes to Kdramas I go for the famous ones. I read reviews and collect recommendations first from friends and workmates before I even consider watching. I’d also like to say that in 2004 the doors of Korea Drama have opened to me, thanks to GMA 7 and ABS-CBN. I won’t talk much about the dramas I’ve watched when I was younger and skip to those I’ve finished since I became really into the Korean scene. I am someone who research while watching the show. I read Wiki files from the plot to the autobiography of each character. I even search on YouTube their variety guesting or interesting interviews, etc. I don’t really care about spoilers. Reading and knowing what happens next on a particular KDrama I’m watching is fine for me. I can finish an entire series in 2-3 days. And if I really like what I watched I usually save it on my phone and rewatch on my commute to and after work. I watch Kdramas for pure entertainment. 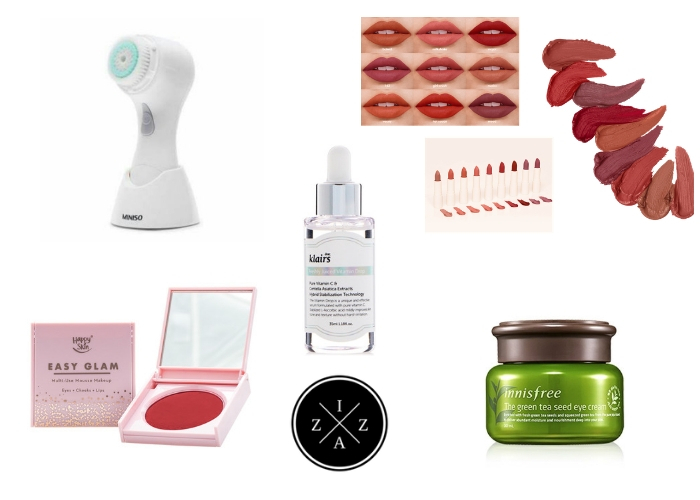 To distract me from my busy life as a writer, blogger and business owner. With that said and done here is the List of My Favorite Korean Drama Series. Favorite Scene/s: All the scenes of Ahn Jae-Hyun!!! I usually get easily irritated when all the male protagonists are in love with the protagonist. But, Cinderella and the Four Knights proved to be different for me. I enjoy the character of and I do love her boyish charm and reminds me of Ji Eun Tak of Goblin (lives with an evil step mother and sister and does all the work to provide for herself) and they even look alike. All the main leads did a fantastic job on the characters they portray. Also you’ll get a huge crush with all the male protagonists. This drama is light and funny at the same time. The story line is a combination of Cinderella (the real story) and Boys over Flowers. Something I also adore about this drama is the soundtracks. I choose this as one of the top drama wherein all the soundtracks are addicting. Favorite Scene/s: Every time Kim Soo-hyun cries!!! I just low how handsome he gets when he cries. One of my absolute favorite KDrama. The editing and the way they presented the whole drama is amazing. I enjoyed the flashbacks of what really happened at the end of each episodes. I also love the interview part. The whole drama is fresh and new for me. From the male protagonist being an alien who lived for the past hundreds of years and who accumulate great wealth. To the female protagonist who has strong personality. I also love how the second male lead is not a bad person. I even wish he ended up with the female lead. Favorite Scene/s: The scene when Song Joong-Ki and Jin Goo ran for their life on a parcel that Song Hye-Kyo and Kim Ji-Won had in hand is classic. I like the every interaction between the four. 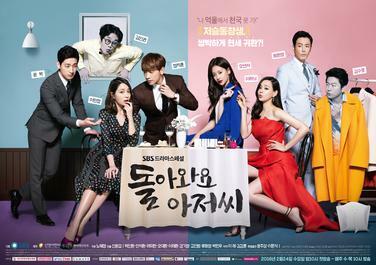 Another amazing drama to watch if you’re looking for a new and fresh story line. Who would have thought that a soldier and a doctor as main lead will work? Also I love how the main love team and the supporting love team interact with each other. Both main and supporting leads made the drama even better. All the episodes were great. It has a great mixture of drama, action and romantic comedy. Favorite Scene/s: Bromance between Goblin and Reaper!!! Every Deok Hwa scene!!! This KDrama deserves a standing ovation. The casting, the story and the editing is all on point. If there’s a KDrama you can recommend to a non-KDrama fan --- this is it. This drama will definitely turn him/her to a fan in no time. From Goblin and Reaper’s romance to Deok Hwa’s funny interaction with his uncles and of course Ji Eun Tak’s charming personality -- There is no episode you’ll hate. Not to mention the OST used in this KDrama that you’ll get easily addicted with. This KDrama will put on a mixture of emotion. You can never guess what happens on the next episode. One day you will be all bright and cheerful and the next day you’ll cry along with the characters. It was such a bittersweet ending that you’ll end up craving for more. Truly one of the best KDrama to beat. Favorite Scene/s: Whenever Rain goes on his comedic act. My absolute favorite family oriented KDrama. I enjoy watching this because of the story plot. Unlike other KDrama I’ve watched, Please Come Back Mister focus more on family-related issues. This KDrama made me fall in love with Rain once again after the whole Full House era. Rain played his character really well and I enjoyed watching him go from being funny to being serious. Favorite Scene/s: Scenes when the whole princes are together, the death of every king. Scarlet Heart Ryeo is another KDrama that proved to be good from the first episode up to the last. I love this drama so much. First of all, I enjoy historical or period dramas. And the fact that it is a story about King Tae Jo of Goryeo and his sons makes it more interesting. Again I normally dislike stories wherein every male lead likes the female lead but Scarlet Heart Ryeo executed each episode well. Just like Goblin, I can pretty much say that every episode in this drama is good. All of princes have their charm that will make you hooked in the drama. It was superb casting to be honest. IU also shined as the main female lead. This is also another KDrama wherein you get to enjoy all the OST. Favorite Episode/s: EVERY EPISODE TOO!!! This is one of the most popular KDrama ever. One, it has a unique story line. I enjoy that fact that Kim Bok-Joo is a weightlifter, has first love aside from the main lead and pretty much holds the upper hand in the relationship. Two, each of the characters are very much involved. 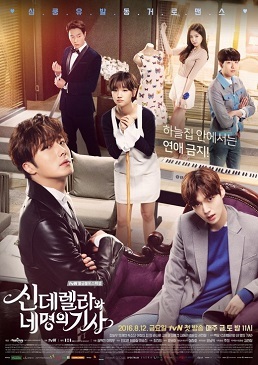 I think this is the very first KDrama I’ve watched wherein all the main and supporting roles got a story to tell. 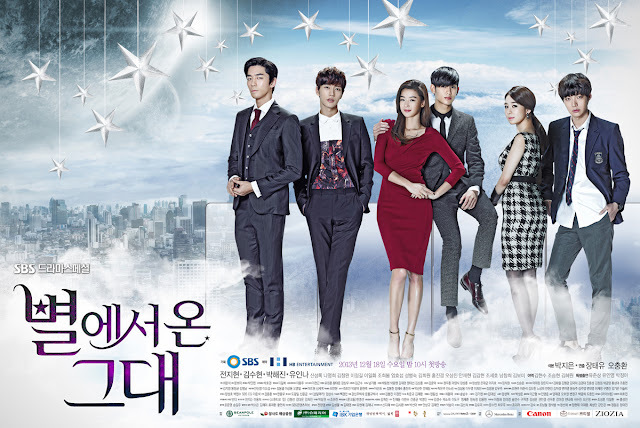 Third, it is a very wholesome and friendly to all age’s kind of KDrama. Love the roller coaster ride of emotions each episode bring. Joon Hyung (Nam Joo Hyuk) is sooooo handsome by the way. He is the epitome of tall, white and handsome. Not to mention they end up to be in a relationship in real-life. This list will be updated from time to time when I get to watch any new KDramas. Other most recommended series to watch from my friends and the K-Fan community are Cheese in the Trap, Reply Series 1988, 1994 and 1997 as well as Oh My Ghost. I hope you will enjoy this new series. Make sure to click Korea 101 to view the rest of the posts I created about my KPop obsession. 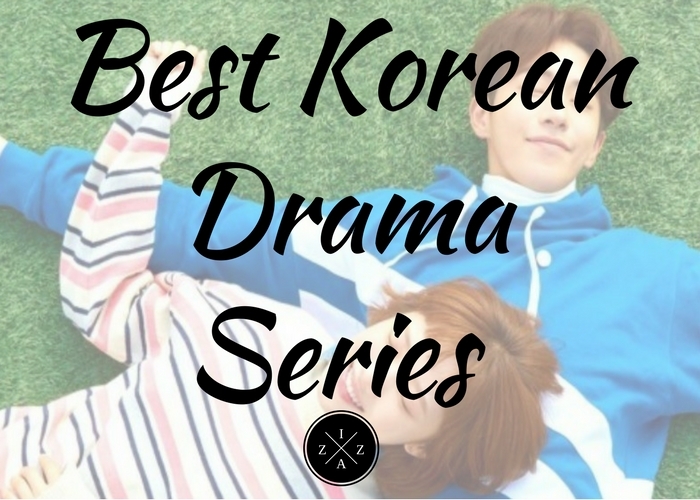 Do you have a KDrama recommendation? What's your favorite KDrama ever? 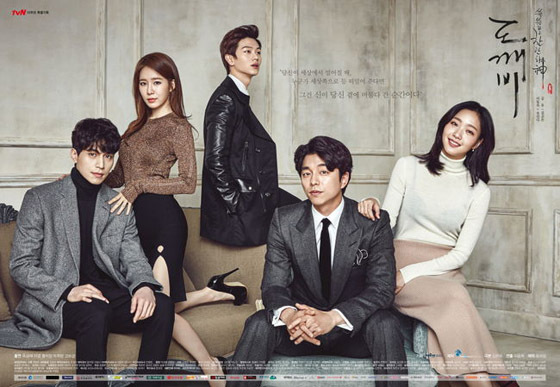 All of these are Best Korean Drama Series.But I really like the Goblin.It has entirely unique and peerless story.Thank you very much for sharing.Keep posting. It has entirely unique and peerless story.Thank you very much for sharing.Keep posting.